It was likely the late Jim Rowe that made these contact prints using original negatives of photos done by George Brace. While a young collector I had the good fortune to meet a Chicago native, the late Jim Rowe. Jim had worked for the great baseball photographer George Brace and had access to Brace’s original negatives. Brace, and by extension Rowe, were a God-send to autograph collectors such as myself. Collecting autographs through the mail had before Rowe had a somewhat frustrating aspect; there were many, many great players willing to sign for kids such as myself but it was nearly impossible to find photos worthy of sending to them. Once or twice I cut up baseball history books that I had thoroughly absorbed but taking scissors to a book made my heart sink. Besides, the photos in the cheaply printed books were grainy and of the lowest possible quality. I pretty much had to settle for sending blank 3″ x 5″ cards. Even that had dangers; blank cards on both sides were difficult to find and players would (far too) often sign the cards on the lined side. But card shows came to Detroit in the early ’70’s and hence my introduction to Mr. Rowe. I certainly never got to know him well but he was a pleasant, if very quiet, man. He had a closely typed list of players that he could make real photo prints of. If I recall the price was three for a buck and you could order just a single print of any player on that list. I don’t think that you could choose different poses of players but if you ordered, say, three Carl Hubbell postcards then you would often get multiple poses back from him. A buck was still a buck back then and I would save up for some time to finally mail Mr. Rowe an order for five or six bucks. Actually, six bucks was probably a very big order for me but the gentleman never complained. The great Hughie Jennings in Detroit. Underrated all around. 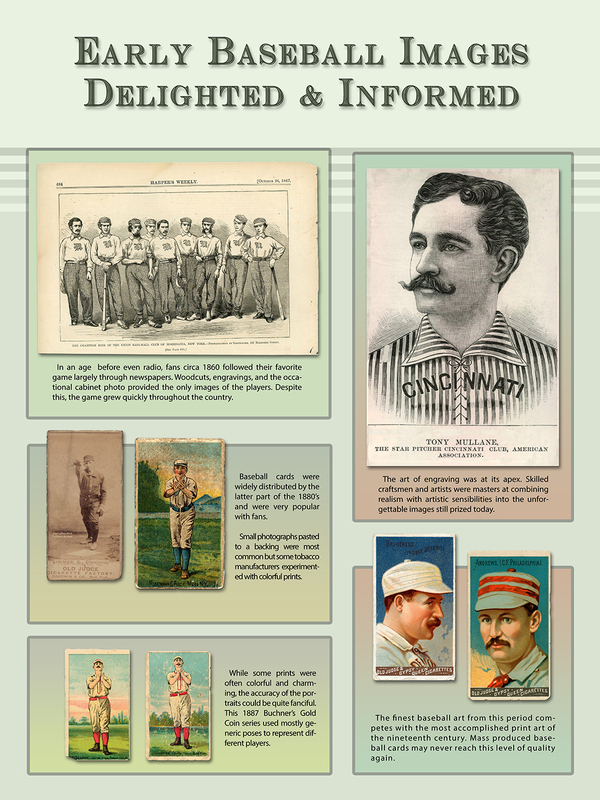 Today I would like to give a plug to our friends at the Baseball Heritage Museum in Cleveland. Their Facebook page is updated more frequently and it is surprising how many activities that they have. It is a wonderful place to visit; the exhibition space is actually within the old ticket offices. Kudos to Bob Zimmerman and Joe Gazzo. Joe is a very gifted artist and has often held art instruction classes at the museum. What could be cooler than that? Charles. Visit our auctions. Visit our website. I really like this one, a Bill Mazeroski for the new series of 1950’s players. The painting is done using opaque watercolors. Which other second basemen from that decade would you like to see? Time to shake things up a bit! Here’s one of the first paintings for a new series that will concentrate on the 1950’s. I expect that the final size will be 3″ x 4″. How about sending me some suggestions for the name of this new set? Any players that you would like to see? The 1910-11 T3 Turkey Red series is often considered by collectors to be the most beautiful of all early baseball sets. In fact, the beauty of this series has probably never been surpassed since the oversized cards appeared over a century ago. Amazing. I’ve finally decided that it is time for us to take a shot at our own version of the iconic series. After months of discussion we’ve started to work on our first paintings. Here’s an advance view of our Eddie Collins card as of a couple days ago. And here is the work as of today. Any suggestions for improvement? Also, if you have any other ideas for this series, such as player suggestions, please let me know!! Charles. Here’s the close-up of our mystery player. I think that it points away from being Hans Wagner. The shoulders are more narrow and the face just seems to indicate that it is another player. So, who do you think it is now? Our choices seem to be Fred Clarke, Chief Wilson or Roy Thomas. In any case, it is a great photo! At the top of the cabinet the photographer has scrawled “Bresnahan catching” and “Pittsburg + N.Y.”. Following that is a much less clear tag that appears to read “Sept. 18”. This does help narrow things down for us. A quick Internet search shows that the Pirates played the Giants on Sept. 18, 1908 in a double-header at the Polo Grounds. Our photo clearly agrees with other period images of the stadium. On that long-ago September afternoon the Giants crushed the visiting Pirates in both games. Left handed batters for Pittsburgh that day consisted only of these players: Fred Clarke, Chief Wilson, Roy Thomas, and pitcher Nick Maddox (who only had two at bats). The player shown in our Imperial Cabinet would be one of these four men unless Wagner decided to bat from the left side that day. Wagner is known to have hit lefty no more than a handful of times over the course of his long career. It would be a very rare photo indeed if it turns out to be Wagner. Maddox, I think, can be excluded almost immediately. He simply didn’t look anything like the batter in the photo. Each of the other natural lefties (Clarke, Wilson, and Thomas) had prominent noses and that does complicate things for us. Based on my photo library I am now leaning toward Clarke but an not at all convinced. In my opinion it is definitely not Wagner. The best news of the night is that I found another photo online that I’ve never seen before. It is a photo from the HOF and is dated September 19th, 1908–the very next afternoon from our Imperial Cabinet photo. Pittsburgh and New York again played at the Polo Grounds (with a big win for Pittsburgh). 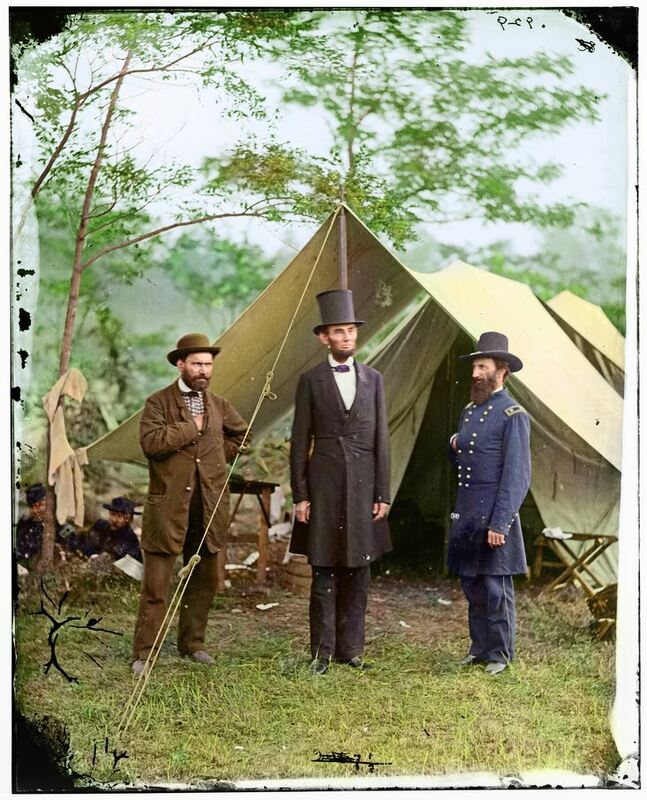 This new photo clearly shows Bresnahan and Wagner together and is taken from the same point of view. Does it change your opinion of the mystery batter? Here it is. A question came in the other day asking who the Pittsburgh batter is in this piece. The writer wondered if it was the great Honus Wagner. That would be something, wouldn’t it? Could there be a more interesting action shot than those two Hall of Famers together? When I first saw this image some years ago my first impression was that it was, indeed, Wagner at the plate. 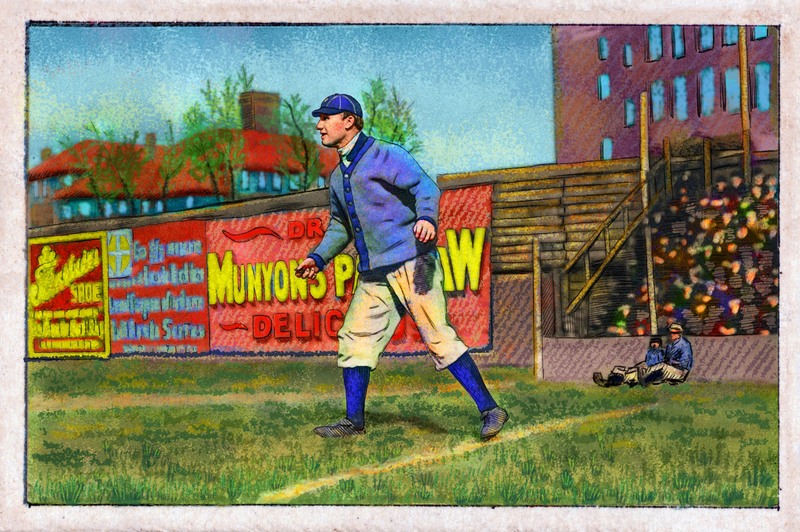 The pose fits my conception of how Honus would appear in action. The nose, too, seems fairly prominent–not unlike Han’s honker. 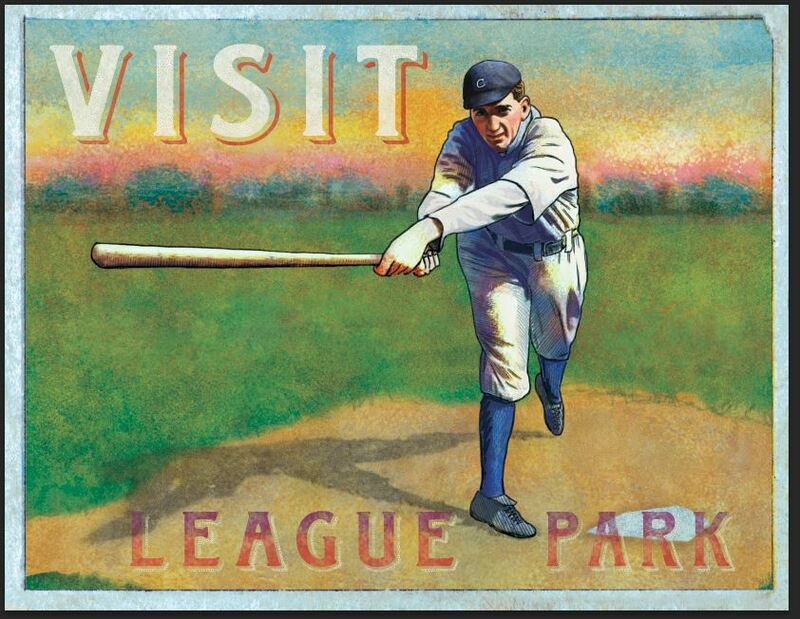 But this batter is hitting from the left side of the plate (Honus was a rightie). Could the plate have been reversed? No, Bresnahan has his catcher’s mitt on the correct hand. Who, then is the batter? While Wagner played for Pittsburgh from 1900 through 1917, Bresnahan only appeared with the Giants from 1902 through 1908. This image is almost certainly from the latter part of that period. A quick check of the Pittsburgh rosters from those years turns up several possibilities and I feel that the most likely are either Fred Clarke or Beals Becker. Both were lefties, both had generous noses and both were a bit smaller than The Flying Dutchman. Who do you think that it is? I used colored pencils and a little gouache to do this piece. Gosh, it was done quite a while ago now. The most recent copy of this Imperial Cabinet that sold just this past week was the last one that I had. Recently I’ve been scanning my modest collection of old matchbox labels and have noticed some similarities in design with old baseball cards. Most of the similarities seem to be unintentional. For example, here are three matchbox covers where the red stripe at the bottom are filled with bold text. These examples of Swedish matchbox covers for the Indian market share the design element of a red stripe filled with bold text. Do they remind you of a famous baseball series? How about the classic 1933 Goudey set? Here are three cards from that series followed by a grouping of retired cards from our Helmar-R319 set. 1933 Goudey cards. Note that both end cards have striking red backgrounds. We’ll talk about this in a minute. I don’t for a moment believe that the Swedish matchbox designers were familiar with the Goudey cards. It is interesting, however, that two sets of graphic designers on different continents adopted the same look. Now take a gander at the Japanese examples below. The red background concept was used on thousands of different Japanese designs over many years. True, manufacturers in other countries employed it as well–they all copied shamelessly from each other. It was by far most common in Japanese design, however. I’ll share some beautiful examples some other day. 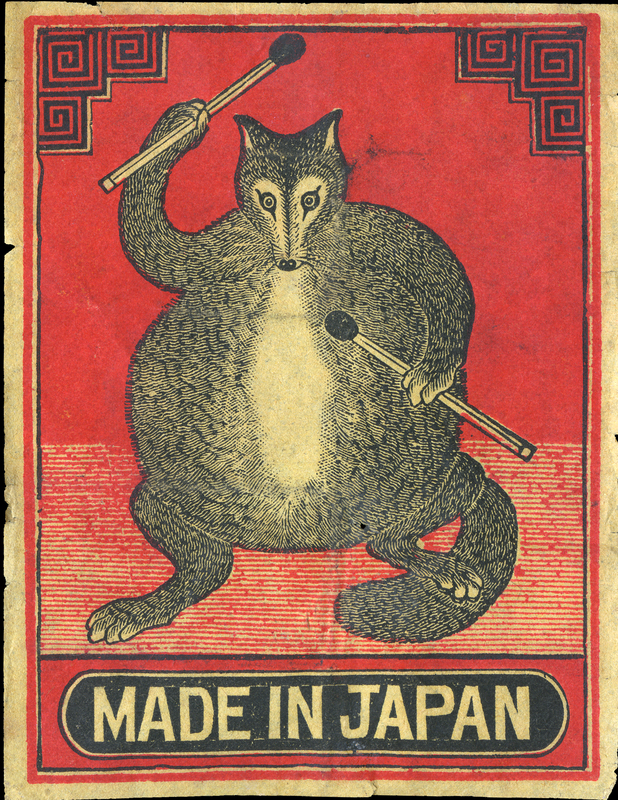 Japan was a major, major exporter of matchboxes in the earlier decades of the 20th century. Their designs were eye-catching, quirky, and their product was everywhere — including here in the United States. American graphic designers were certainly aware of the Japanese designs and most likely admired them. I don’t think that it is much of a stretch to imagine that the designers of the 1914-15 Cracker Jack cards were heavily influenced by them. What do you think? Above: early Cracker Jack cards. Below: Helmar Cigar cards. If you are like me–and I’m sure that you are–every time you’ve ever walked across a hand-knotted rug you’ve asked yourself, “Gee, I wonder how they know where to put each color of thread?” The answer is that a map is produced before a single knot has been tied. These color maps are usually called “cartoons”. Here is the cartoon of our Joe Wood rug. A great deal of planning goes into a hand-knotted rug before it even gets on the loom. First, of course, the basic design is agreed upon and colors that will be needed are selected. 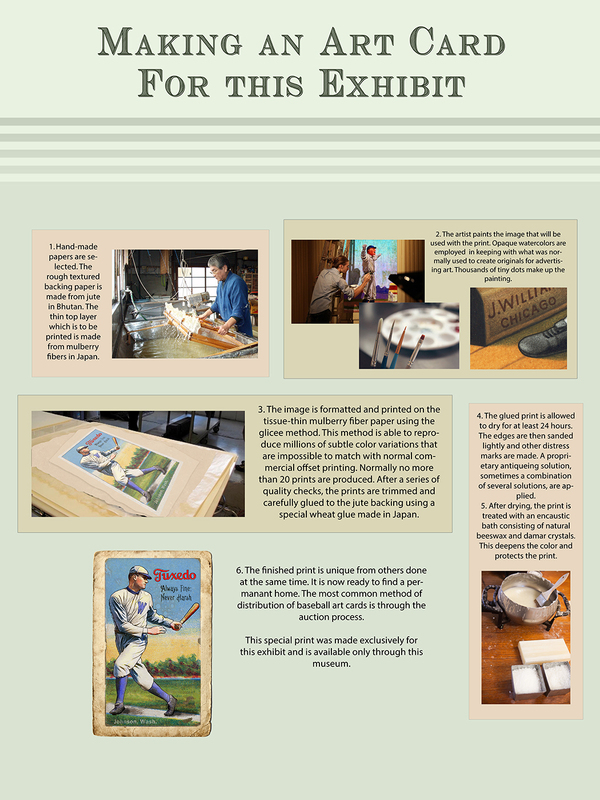 In our case the design will be based upon our Boston Garter Joe Wood art card. A true four-color is not possible with jacquard and so representational art, such as our Wood, is usually not attempted. With endless varieties of beautiful geometric designs readily available to the weavers that we will work with, there is usually little point in attempting to convey subjects as difficult as as subjective as the human face. However, this is Helmar and we always seem to be pushing the envelope. Two issues are of immediate concern. In order to accomplish the intricate design that we’ve chosen it will be necessary for the weaver to make 300 hand-knots per inch when I can barely tie my shoe once. Secondly, a high quality hand-knotted rug will sometimes include up to a dozen different colors of yarn. Our piece, however, will have up to 25. The more colors that need to be integrated the more difficult the weaving. There’s no question; we’ll need an experienced artisan at the loom. Mike is the forever editor of the magazine Spitball, which he founded back in 1981. If you are a baseball fan and have not subscribed you are missing the best value out there! Don’t bother with the one or two year offers; a lifetime subscription is only $125! Basically the same price as a cup of coffee at Starbucks. Mike also wrote an article published in Sports Collectors Digest (June 4, 2018) about the series. You can access it here. Follow our new project with me! A few months ago I was reading up on the stunning medieval tapestries at the NY Met. How beautiful they are! The amount of clever designing, experimenting and yes, tedious work required is mind numbing. And, as usual, I found myself wondering about this process and how it could relate to baseball. There is not a deep textile tradition in sports art and little in the way of large scale imagery. To make a long story short, I began to research the process in some depth. It was soon apparent that old style jacquard weaving is an art that has almost disappeared. These days if you want a rug or wall hanging it is nearly always made utilizing digital printing on artificial material. Some of it looks…okay. But the real thing? You’ll have to dig deep for a traditional supplier. It takes a few months of hard work to make one of these. In my next post I’ll talk more about the process. Pepper Martin has a big fan! Collector Derrick Sanders’ favorite player is the flamboyant and aggressive Pepper Martin. Who can blame him? Pepper was a 5’8″, 170 pound ball of fire. Playing 16 seasons in the big leagues he had a lifetime average of .298. He led the National League in stolen bases three times and once led in runs. Derrick has framed his Helmar Trolley card of Pepper along with sentiments from yours truly and Sanjay Verma, the painted the wonderful portrait on the card.